Asian Connect is a sports betting broker and agent. They provide a gateway for sports bettors to open accounts at asian sportsbooks and betting exchanges. UNITED STATES CITIZENS CAN ONLY REGISTER A BITCOIN ACCOUNT!!! United States citizens who select any deposit method other than Bitcoin during the registration process will be declined. You DO NOT need a VPN connection to register an Asian Connect account or use the Asian Odds betting platform. You DO need a VPN connection if you are playing from the United States to login to BetISN, Matchbook, MaxBet, Pinnacle Sports, SBOBET, SingBet, GA288, 9Wickets and Orbit Exchange. We recommend private internet access which we have found to be inexpensive and user friendly. After completing the Asian Connect registration use the chat interface on their website to contact a customer service representative. They will give you specific instructions on how to make your initial deposit and will assist you in opening accounts at the sportsbooks you need. Once your Asian Connect account is funded you can transfer money to your sports betting accounts from the user console. 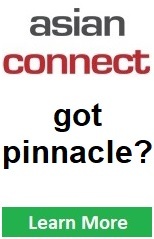 Players who request a Pinnacle Sports account will bet through one of their mirror sites. Asian Connect members also have the option of using the Asian Odds betting tool. This gives sports bettors access to soccer and basketball odds from six sportsbooks on one betting platform. Asian Odds functions very much like a typical sportsbook but with odds displayed from each sportsbook in one window giving you the ability to wager at multiple sportsbooks simultaneously. Matchbook, 9Wickets and Orbit Exchanges are not available on Asian Odds.